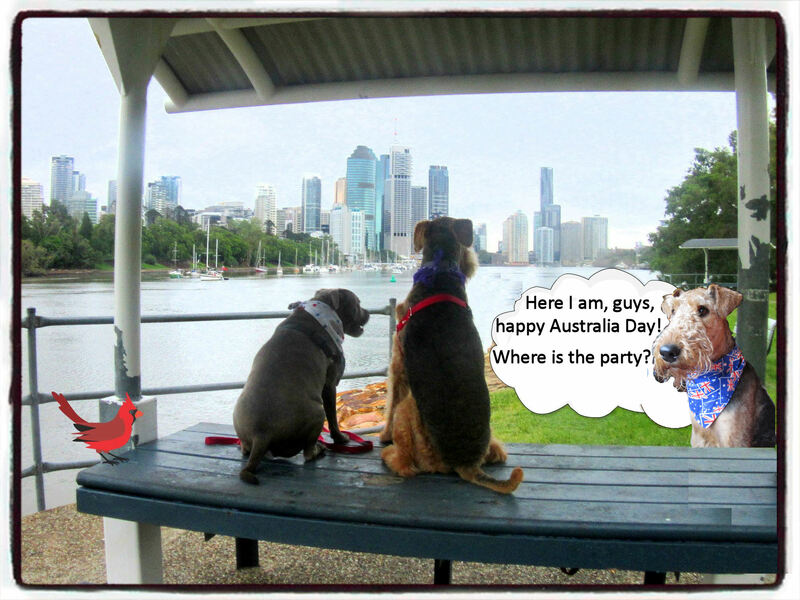 Maurice, Dusty and all Aussie-friends… Happy Australia Day!! Mum is explaining a very difficult thing. She says here it is in the middle of the afternoon and in Australia a new day is beginning, there it is in the middle of the night, now! Here it is still the 25th of january, there it is already the 26th of january!! Oooooh, I really have to leave because I will be too late to say good morning to them. Yes mum, I’ll hurry. Yes, I’ll give your hugs to Maurice and Dusty! Yes I’ll be a real lady, yesyesyes… Don’t worry! Ciao!